What if the Play Store won't open, load, download or update apps? Learn about what to do if the Play Store won't open, load or unable download apps. 1. You are not able to download or install apps or games from the Google Play Store. 2. You are not able to download music, movies, TV shows, or other content from Google Play. 3. The Google Play Store app won't open or load, or crashes after it opens. 4. Downloads & app updates get stuck and won't finish. What to do if Google Play Store app won't open or load, or crashes after it open. Try the steps below to fix problems with Google Play. Please check if you have a strong Wi-Fi or mobile data connection. First, make sure you have a strong internet connection. It's best, if you can connect to a Wi-Fi network. If you don't have access to Wi-Fi, make sure you have a strong mobile data connection. Then try your download again. For ColorOS 5.2: Go to [Settings]> [App Management]> [Show System Processes] > [Google Play Store] > [Storage use] then click [Clear data] & [Clear cache]. Note: You can also use the same settings above to clear cache and data (It's highly recommended to create a backup before clearing the data). Instead of Google Play Store, search "Download Manager" and "Google Services Framework". This gives the app a fresh startup and can help to fix the issues. If the problem still persists after you clear cache from the Play Store, restart your device and check it again. Press and hold the Sleep/Wake button until the Slide down to power off message appears. Drag the power icon down to turn off the phone. 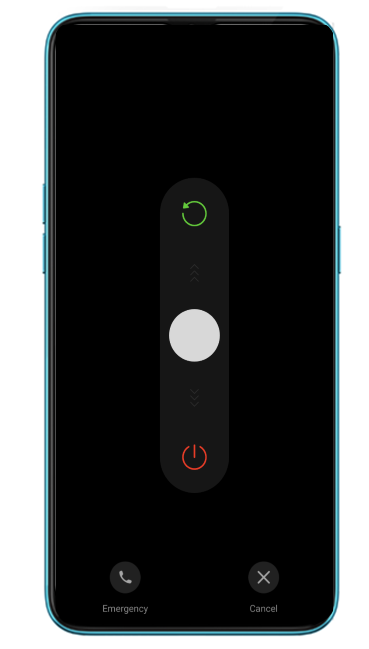 To turn the phone back on, press and hold the Sleep/Wake button until you see the realme logo. If the issue persists, contact realme Support Team, or take your phone, proof of purchase and warranty card to a nearby realme Customer Service Center for professional assistance.